Are you a dietitian interested in bringing non-diet approaches to your practice? Here's 10 tips for how to become an intuitive eating dietitian. Happy birthday to me! Yep, it's my birthday, and I'm celebrating by taking a half day off work, taking a yoga class, and cooking a nice meal just for me since the hubs is out of town for a big work presentation - wish him luck! We'll do more fun celebration type stuff this weekend, but I'm actually thrilled to have some alone time to relax and reflect. April 4th has taken on special meaning for me since my 30th birthday. That's because three years ago today, I put in my notice at my very stable and well paying government dietitian job to open up my private practice. It feels extra-surreal to me right now because as I'm starting to write this, I just wrapped up an interview for my very first podcast guest appearance with Lauren of Grit and Glitter (check her out fellow female entrepreneurs!). We chatted all about marketing as an anti-diet dietitian in a dieting obsessed world. I didn't realize it was almost exactly 3 years from when I left my job until Lauren asked me how long I had my practice. That's what it hit me that exactly 3 years ago, I was basically having a panic attack from second thoughts and crippling fears of failure. And now, just three years later, I was confidently talking marketing strategy on a podcast for entrepreneurs. I wish I could go back and give almost-3o-year-old Rachael and hug and tell her it would be okay! This year I launched Joyful Eating, Nourished Life with these lovely ladies! If you've been following me for awhile, then you know each year I like to share a post for my fellow (and aspiring!) dietitians with what I've learned about entrepreneurship over the year. I get a lot of emails with questions, and while I try to answer when I can, one of the not so fun parts of being a business owner is that free time is limited. In part 1, I discussed what I wish I knew before starting a private practice. In part 2, I discussed tips for running a nutrition private practice. Today, I wanted to delve into a topic I've been getting lots of questions about - how to incorporate intuitive eating, health at every size, and other non-diet approaches into your practice, no matter what setting you're currently working in. This is a topic I'm really passionate about, because it's a way that we as dietitians can really help people heal in very real and significant ways. For me, I was a psychology major before I decided to double with nutrition, so I think that basic appreciation for the complexities behind why and what we eat was always there. Early on, I read Intuitive Eating and a few books on mindful eating, but still, I practiced in a very education focused manner because, well, that's what I was taught. I always felt like such an imposter though, because I knew there was a better way, I just didn't know how to do it. I hope this post gives you some real and usable tips and resources for incorporating intuitive eating and HAES into your practice, as well as some things to think about! 1. Don’t sell weight loss. Okay, so this one should be obvious, but I see a lot of dietitians playing both sides of the fence, marketing intuitive eating for weight loss or “weight management.” I understand why because I was totally in the same place. For me, I was afraid of scaring away potential clients and losing business. The thing is, it’s really dangerous and confusing for your clients/patients, because it’s impossible to eat intuitively if you’re also trying to control your weight. It also puts you in the uncomfortable situation of promising something you can’t really give. I learned that lesson the hard way. If your work situation allows you to work with clients long term, be up front from the beginning and educate them on why diets don’t work, and explain that you’ll be focused on changing behaviors, not the scale. If you’re in an inpatient setting or have less time with patients, you can always focus your education on health promoting behaviors, even if it’s a doctor’s consult for weight loss counseling. Reinforce that it’s behaviors that count, not necessarily the scale. 2. Check your own weight bias. Intuitive eating is for everyone. Yes, everyone. I don’t care how much someone weighs, if we thought fat loss was really the solution to everyone’s problems, we’d recommend liposuction and be on our way. But we don’t be cause we know that fat loss without accompanying health-promoting behavior change means nothing. In school, we’re taught a lot of incorrect information about weight and health (see this journal article and this one too). We also work in an environment that’s really weight biased (healthcare), so it’s hard not to soak some of that up. Making assumptions about a client/patient based on their weight not only damages your working relationship, but also prevents them from getting the best possible care. I’ve seen weight bias play out in very obvious ways (i.e. when inpatient dietitians just give a quick/shoddy education with someone who is “obese” because they presume they don’t care to change) to more subtle ways (i.e. when dietitians presume a client in a larger body is lying about what they eat). The sad truth is that we’ve all grown up inundated by messages of weight bias, and it’s hard not to absorb any of that. Get in the practice of noticing any biased thoughts or assumptions, and challenge it! 3. Prepare clients for a long term relationship. When I first started practicing intuitive eating, I put a lot of pressure on myself to heal clients quickly - I was worried about people scheduling follow ups if they didn't feel like they had made significant progress. But I learned from experience that rushing the process helps no one. Nourishing a healthy relationship with food and body takes time. Be up front with clients that it's a lengthy process with ups and downs. While I've had some clients come in for a session or two, have major breakthroughs and feel really successful, it's hard to predict. When clients ask how many sessions I think they'll need, I've found it's helpful to use talk therapy as a metaphor. Although you might get some major breakthroughs in a few sessions, you wouldn't see a therapist once and expect to have worked through all your issues. 4. Look beyond diet. As dietitians, we're obviously biased towards managing food and eating. But health is SO much more complex than diet. One of the places I see dietitians miss the mark is by trying to pin every problem on diet, rather than zooming out and examining the big picture. We don't eat in a bubble - stress, movement, work, medications, sleep, socioeconomic factors, etc all have an impact on how and what we eat, and our health. If your client/patient is struggling with something, instead of immediately jumping to diet solutions, ask questions about why. Sometimes (err, often times) we can help our clients most by helping them work through non-diet related struggles. 5. Heal your relationship with food. You can only take a client as far as you've come yourself. That's not to say you can't help clients from a non-diet approach when you're still a work in progress (aren't we all?). But do critically examine your own relationship with food and take steps to heal it. When I first started my practice, I still had a lot of "clean eating" dogma stuck in my head. It really damaged the work that I was able to do with clients. While I was able to recognize it, take a few steps back, and challenge it, it was still a difficult learning experience and was really unfair to some of my first clients. I don't think it's ethical to practice nutrition if you have an active eating disorder or disordered eating, but don't be afraid to counsel as a dietitian if you haven't always had a healthy relationship with food - it will make you a more compassionate, empathetic and understanding dietitian! 7. Be OK with not fixing everything. And really, you can't fix everything. I don't care how skilled of a dietitian and counselor you are, there are problems you simply can't fix. And guess what? You're clients won't hate you if you're honest with them about that. Sometimes the best thing you can do is simply provide a safe and compassionate place for a client to share their thoughts, feelings, and fear and reflect back that what they're going through is really hard. 8. Get trained in Motivational Interviewing. A lot of the questions I'm asked by dietitians/students interested in practicing intuitive eating centers around the logistics of how you run a session that isn't based on education. That's where motivational interviewing comes in. Soak up as much training in Motivational Interviewing as you can, and don't be afraid to practice with a friend or family member - it's the best way to learn! 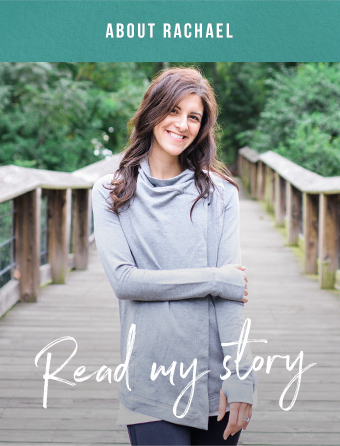 Molly Kellogg, a dietitian and psychotherapist, has tons of great resources on her site - definitely sign up for her weekly emails with tips too! There's also the book Motivational Interviewing in Nutrition and Fitness by Dawn Clifford, which I found really helpful. 9. Avoid making body positivity a command. When we see the inner and outer beauty in our clients, we so desperately want for them to see it too. But be careful about falling into the "just love your body!" trap. I think body love is just a really high standard, and runs the risk of making someone feel like a failure if they're not able to look in the mirror and get giddy about their rolls and cellulite. Make sure your clients know that their "success" doesn't hinge on their ability to look in a mirror and say "dayyyum you look good today!" You don't have to love everything about your body to respect it and take good care of it. Read up on the concept of body neutrality. 10. Admit you don't know everything. Okay, I'm going to say something that might ruffle a few feathers. Dietitians can be total know-it-alls. It's one of the biggest ways we hold ourselves back in our profession. I think I know why we do it. Being a.) a mostly female profession and b.) by working with food, which everyone likes to think they're an expert in, we're used to people talking down to us and arguing against our knowledge. As a result, we overcompensate with this expert persona, and develop this deep fear of not knowing something, or worse, being wrong. Please know I'm saying this as a recovered know-it-all. This backfires in every professional setting, but it really backfires when you're practicing intuitive eating or health at every size. Your client is always the expert of their body and their experience. I won Young RD of the Year from my local dietetics chapter! Phew! Okay, so that was a lot! If you still feel like you could use some help integrating non-diet approaches into your practice, or have questions about the basics of starting a private practice, I also work with dietitians/students one-on-one with career coaching calls. Here's a link with more info. Also, if you're here in the Columbia, SC (or up for a road trip! ), I'm going to be on a private practice Q&A panel with the Columbia Midlands Dietetics Association this Thursday from 12-1 at Baptist Hospital downtown. There will be two other private practice dietitians with me, answering questions about starting and growing a private practice. Shoot me an email at AnAvocadoADayRD@gmail.com if you'd like to come and I'll share the rest of the details. Dietitian friends, what do you struggle with most in bringing non-diet approaches to your practice?